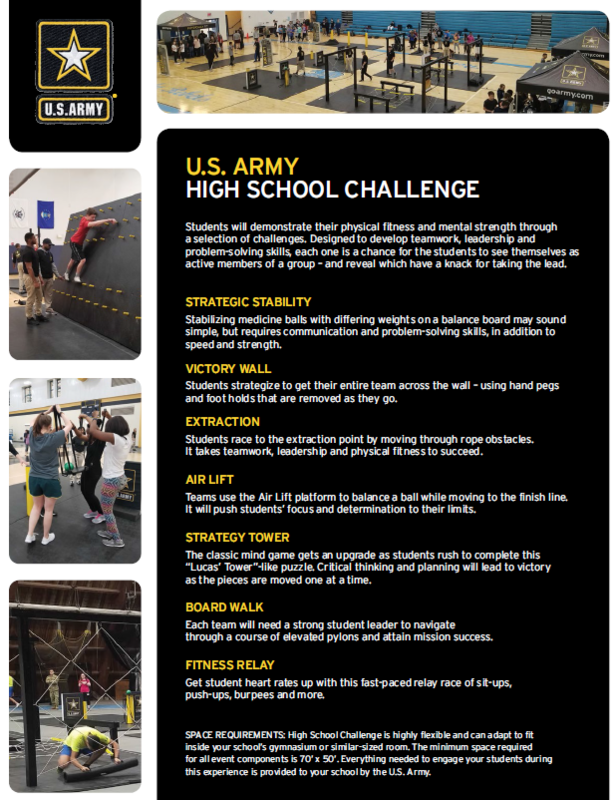 The U.S. Army is coming to PLHS to challenge Navy JROTC and our P.E. classes on November 9 during all periods and they will be bringing an obstacle course to the small gym. It is not just limited to P.E. All students are welcome to join us during any period with your teacher's permission. See the flyer and watch the video below as there are STEM/STEAM opportunities as teams of four progress through the course. See LCDR Sebastian or BM1 Prior in the JROTC classroom for any questions.